The Messerschmitt Bf 109 was the German World War II fighter aircraft that was the backbone of the Luftwaffe's fighter force. The G series, was introduced in mid-1942 and benefited from the powerful 1,455 horsepower DB 605 A engine. 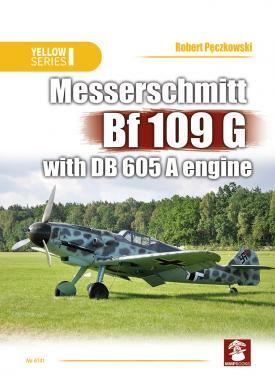 This book describes and illustrates all the famous Bf 109 G variants with the DB 605 A engine. 1/48 scale plans for modellers and walk-around photographs of the plane and its systems in restored and stripped down examples. Tuote on lisätty luetteloomme torstaina, 21. joulukuuta, 2017.